While many online pokies look very similar to each other, Mystique Grove from Genesis Gaming is a real head-turner that looks refreshingly different from the crowd. It’s got symbols that seem to float above a colourful background picture, and comes with nice animated sequences as well as bonus features like wild substitutions and a pick a prize round. Set in a whimsical world populated by fairies and filled with clichéd images of toadstools, forests bathed in dappled sunlight and so on, it may not have the most original theme, but the designers have made it look great, so anyone who likes this sort of game will certainly want to give this one a go. The symbols are arranged in 3 rows over 5 reels and rather than having fixed paylines to land on, Mystique Grove comes with 243 Ways to Win, where examples of the same symbol just need to land on adjacent reels running from the left side to form a winning combination. The whole game is dominated by a beautifully drawn scene of a woodland complete with a tree that’s been converted into a house for the fairies. This image fills the screen, with the symbols cascading down from a branch, while underneath it all is a series of buttons disguised as leaves that are used to control the game. 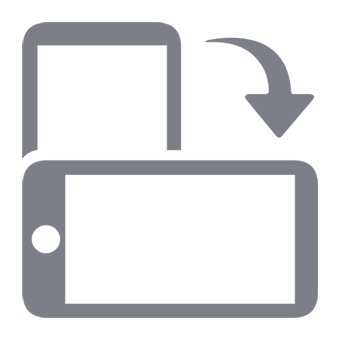 As there are no paylines as such, the minimum that can be wagered per spin is 0.25, and from there the number of coins in play can be adjusted up to give a maximum bet of 25.00 per go. There’s also the option to play automatically for a set number of spins or until win or lose limits that are set by the player are reached. The View Pays button opens up a table that details what is won for each combination, and Mystique Grove has the usual playing card symbols 9, 10, J, Q, K and A making up the majority of it. While they are common across lots of pokies, here they have been re-designed to match the theme, with each of them looking like they glow, and having little objects such as leaves, snails and flowers joining them. The 9 is of course the lowest value symbol of the lot and when 3 land on sequential reels from the left side, players win 5x the coin value, while 4 in a line wins 25x and getting 5 across the reels is worth a prize of 100 coins. Heading up the value scale, the A pays 15, 75 or 250 coins for the same results. Then we see the picture symbols, starting with a cute owl sitting on a branch who is worth 20, 100 or 500 coins. There’s a flame-haired woman who looks like the baddie of the story and then a couple of the fairies, with the blonde paying out 50, 500 or 1000 coins depending on how many of the reels she lands across. A couple of symbols will add a bit of variety to the run of play, with a wild symbol able to act as any of the main ones if it can complete a winning combination. 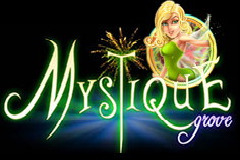 The Mystique Grove logo is a scatter symbol that has a couple of important jobs here, starting with the awarding of wins that can be as much as 1250 coins when it lands in any positions. It will also start the solitary bonus game which sees 15 flowers lined up on the screen. All that’s required of the player is for them to click on the flowers, revealing bonus prizes with each. This carries on until a flower says ‘Collect’, upon which all prizes collected so far are added up and the round ends. Mystique Grove is definitely one to categorise as ‘interesting’. It looks very impressive, and the standard of the background image and symbols is certainly better than many other games, but there’s a few things that keep it from being great. A low maximum bet is one of them, with lots of people sure to be put off by having just 25.00 per spin as the most this can be played with. It’s also a shame that there’s no reward for landing the wild across the reels on its own, while most pokies have scatter wins that are multiplies of the total bet, rather than just the coin value, but not here. These aren’t major problems however, so overall this is a pleasing game that is sure to attract lots of people who like the theme, and equally repel lots of people who don’t.